If you’re part of our Basket Squad, chances are you like to save money. But, even the most die-hard penny pinchers deserve to treat themselves from time to time! Using Basket, our users are able to save hundreds of dollars each year. 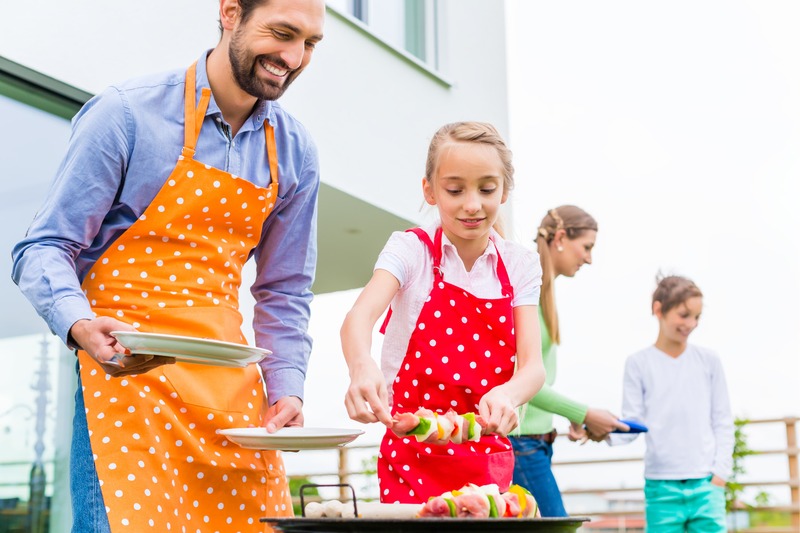 When summer hits and the weather warms up, take this as an opportunity to use some of those Basket Savings for a treat the whole family can enjoy! Keep on reading to discover our hot finds to splurge on with your Basket Savings this summer. Do you need these? Probably not. But, will these make life really awesome? Absolutely. That’s why they’re a splurge! Nothing can put a damper on your party more than when your “cold” beverage resembles something more like bath water. Nobody likes to sip on a lukewarm wine, and ice cubes melt in the summer heat. 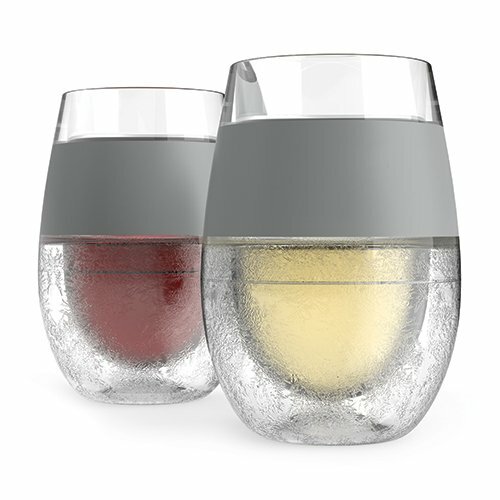 Enter the Host Wine Freeze Cooling Cups. Simply store these insulated wine glasses in your freezer for two hours prior to using, and viola! The frozen gel encapsulated within the glass will keep drinks cold for much longer. Plus, their insulated silicone band makes for extremely comfortable handling. Savings Needed to Splurge: $18.99 for a set of two. Find them here! Yes, you read that right. Turn your favorite beverage into a slushy in less than one minute! This handy gadget is ideal for those with kids at home, or for those who haven’t lost the kid in them quite yet. Store the freezer cup until the walls of the cup are frozen. If you’re starting from scratch, this typically takes about two hours. Pour any liquid into the cup, and then squeeze. That’s all it takes! The longer the liquid is in the cup, the slushier it gets. Use your own blend of fruit juices, coffee, or even colas. Sounds like the perfect summer treat to us. 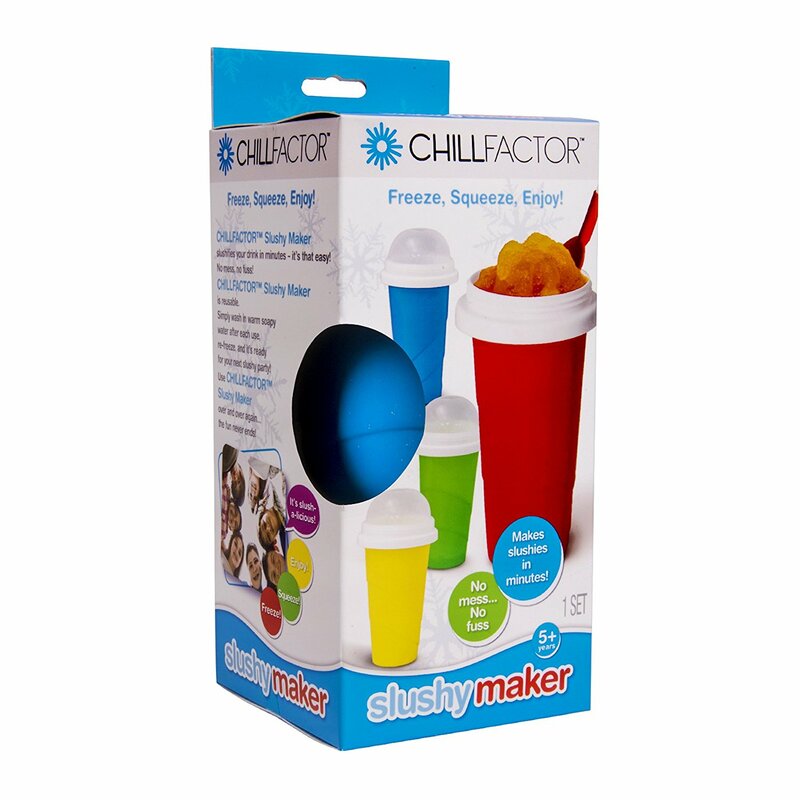 Savings Needed to Splurge: $29.99 for one slushy maker cup. Find them here! We first found out about this hot product during our time on the Steve Harvey show, and let us tell you – we were hooked! 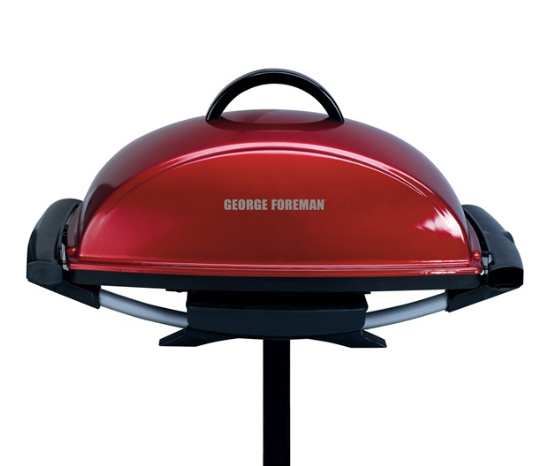 This George Foreman grill has room for over 12 servings of meats, veggies, kabobs, or any other summer grub you can dream of. Its sloped grilling surface helps to remove up to 42% of fat from meats for lean, tasty meals, plus the dishwasher safe drip-tray collects excess fat and grease so clean up is a breeze. The best part? It’s true to its name. This grill is ideal for indoor or outdoor spaces, plus it’s fully electric system means you won’t need any charcoal, propane, or lighters to get the party started. The removable stand allows you to prop this grill up on a patio or in the backyard, but is easily removed to transfer to the countertop during rainy days or when you’re running tight on space. Perfect for apartments, small spaces, bad weather, and feeding up to a dozen hungry mouths at once, this grill is a win-win for the whole family! Savings Needed to Splurge: $99.99. Find it here! Want so’more s’mores? We’ve got the solution, no campfire necessary. 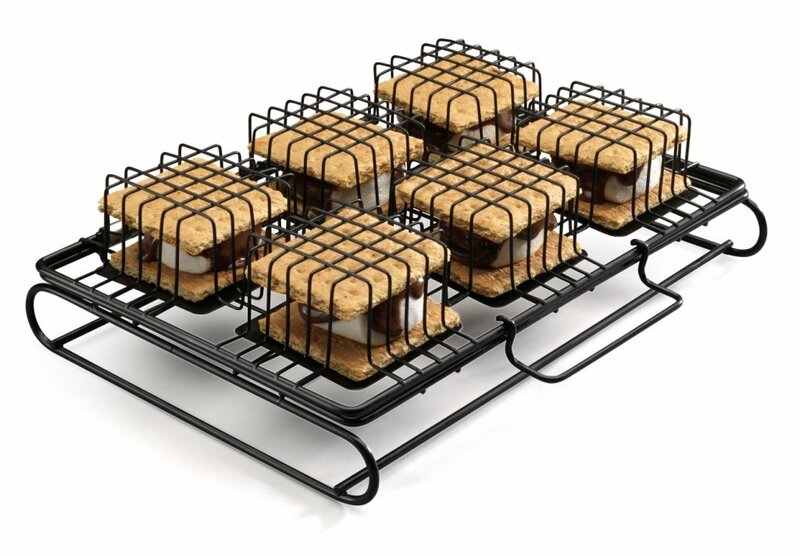 This easy to use s’mores maker locks in six s’mores at a time for delicious treats that are ready to eat in 5 minutes. While you can throw these bad boys onto your new grill, they are also perfect to use in the oven or toaster oven. Wipe clean with soap and a non-abrasive sponge and you’ve got a summer gift that keeps on giving! Savings Needed to Splurge: $19.99. Find it here! Okay, YES. 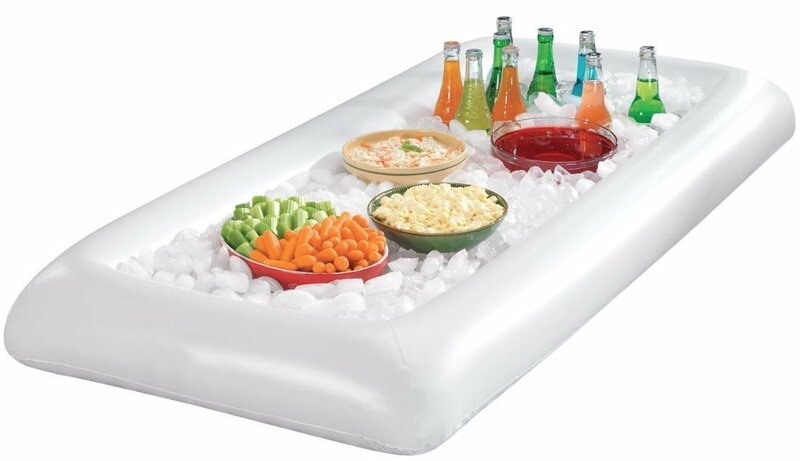 If you have plans for entertaining friends and family this summer, we’re going to go ahead and say you need this inflatable serving bar. It’s convenient shape and size allows it to sit comfortable on most table tops, and it’s raised edge allows you to fill it to the brim with ice. Most importantly, this serving bar was made with a drain valve so that after the party is over you can easily remove all excess ice and water. After the party it folds flat for easy storage and transportation. Serve fruit, meat, and dessert platters with ease while also keeping beverages cool. Savings Needed to Splurge: $9.99. Find it here! Smart shoppers are using Basket daily to save hundreds each year. Download Basket today, and use your savings to scoop up some of these hot finds!